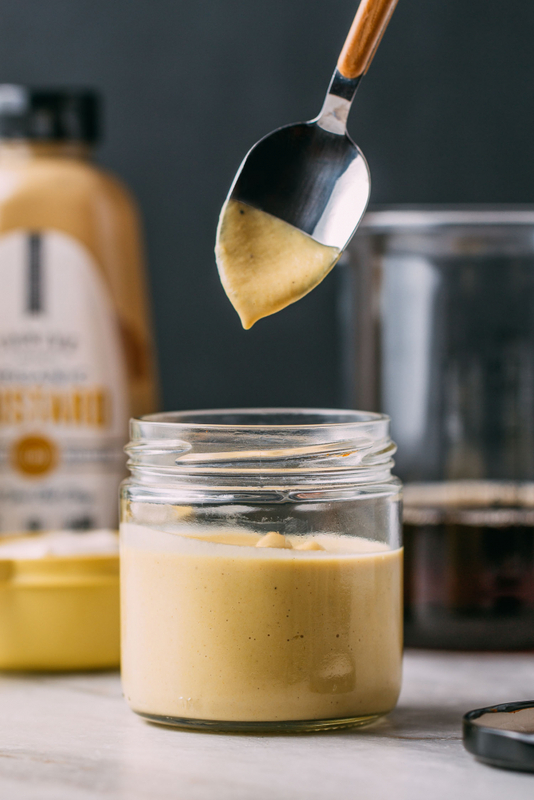 We first whipped up our creamy Maple Mustard Dressing, Dip, or Sauce while making a vegan dip for a game-day party. Who knew we were landing on an all-time favorite plant-based dressing or spread for game-day or any other old day? 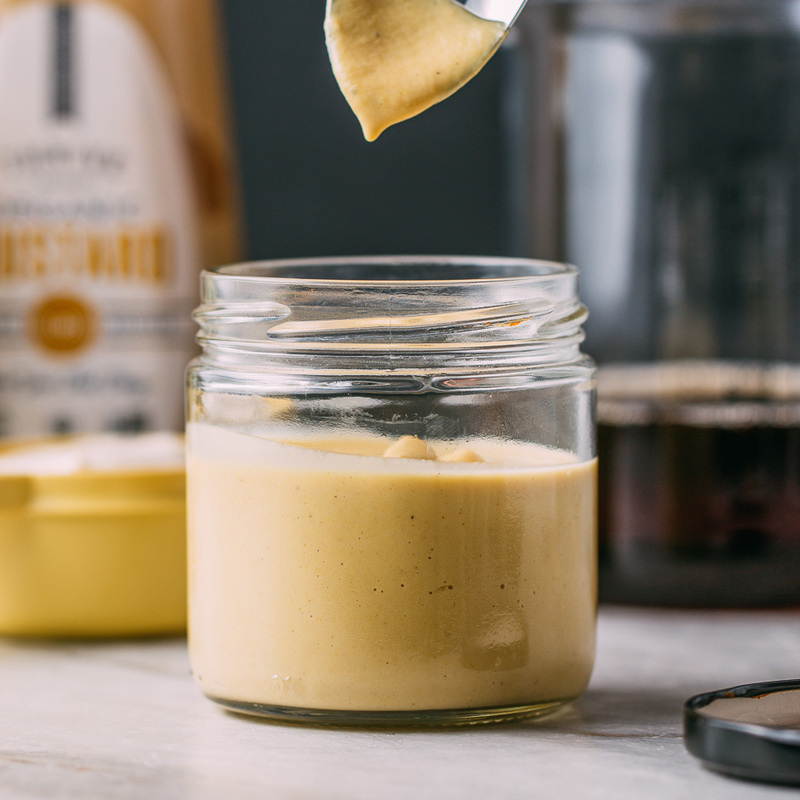 Maple Mustard Dressing, Dip, or Sauce is exactly what it sounds like so this post is going to be brief. But we do have to share just a couple of words of advice. Those couple of words are these: MAKE YOUR OWN SAUCES DIPS AND SALAD DRESSINGS! When you do, you are sure to be among the happiest and most satisfied plant-based vegans on the planet. No kidding! So why do we dare make such a bold statement in all caps? Because we speak from experience. We use to be those folks who buy whatever packaged dressing, dip or sauce offends our nutrition sensibilities the least. We were those people… reading labels and sighing loudly as we sat bottles back on the shelf. We remember dining experiences where we’d ask about the dressing ingredients at this place or the other and thought long and hard about what was recited. Never ever did anyone list out a long line of thickeners of fillers in a sauce. In fact, there was one place where the chef came out to talk with us herself. She smiled as she approached the table and here’s why. Her delicious dressing consisted of wholesome ingredients such as fresh ginger, raw garlic, water, and, well, a little bit of mayo! The best tasting dishes are more basic than you might think. So what does our Maple Mustard Dressing, Dip, or Sauce taste like? We’ll soon have a new recipe post up sharing how we use this sauce on tacos, of all things. So that being what it is, you hopefully get the idea that this sauce is fantastic and pairs well with almost anything, except for maybe our 1-Bowl Crazy-Healthy Black Bean Brownies. But bake a batch or two of those anyway, to enjoy after the mustard dressing. And after those, try a batch of our 20-Minute Peanut Butter Chickpea Cookies. 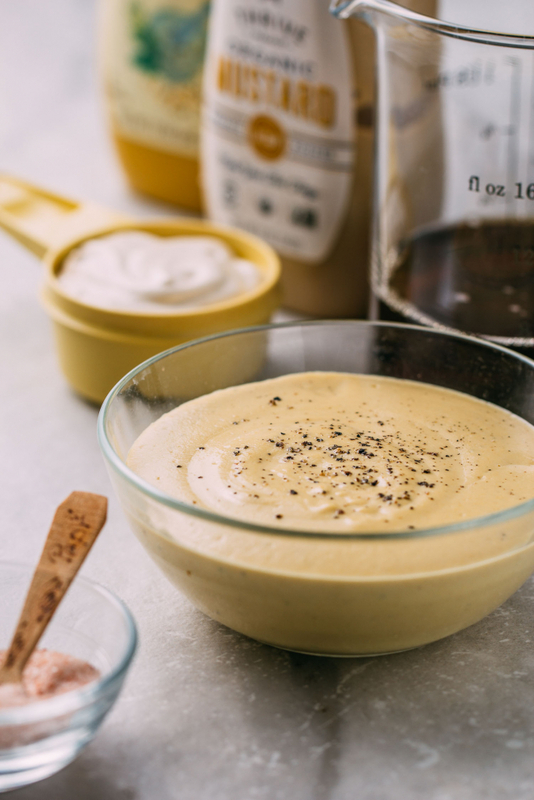 We’d love to hear from you when you try the fantastic no-cook flavor you’ll get with our Maple Mustard Dressing, Dip, or Sauce And do try making your mayo with our oil-free mayo recipe for mayonnaise in this recipe and let us know how that turns out, too. Individually, they’re the bomb. Together, it’s a jaw-dropping experience we believe you’ll come back to again and again. By the way, we think this sauce is even better tasting than the famous Chik-fil-A Sauce! And as always, thank you for reading and for sharing our recipes. Every Pin that you post and every kind word that you write helps others recognize that eating plants instead of meat and dairy tastes and feels, fantastic! We’re not sure what makes you happy when it comes to overall life stuff, but when it comes to flavor, we know that our Maple Mustard Dressing or Dipping Sauce is sure to bring out your brightest veggie loving smile! This recipe makes a little over 3/4 cup of dressing, dip or sauce that will thicken up quite a bit when left in the fridge to chill. 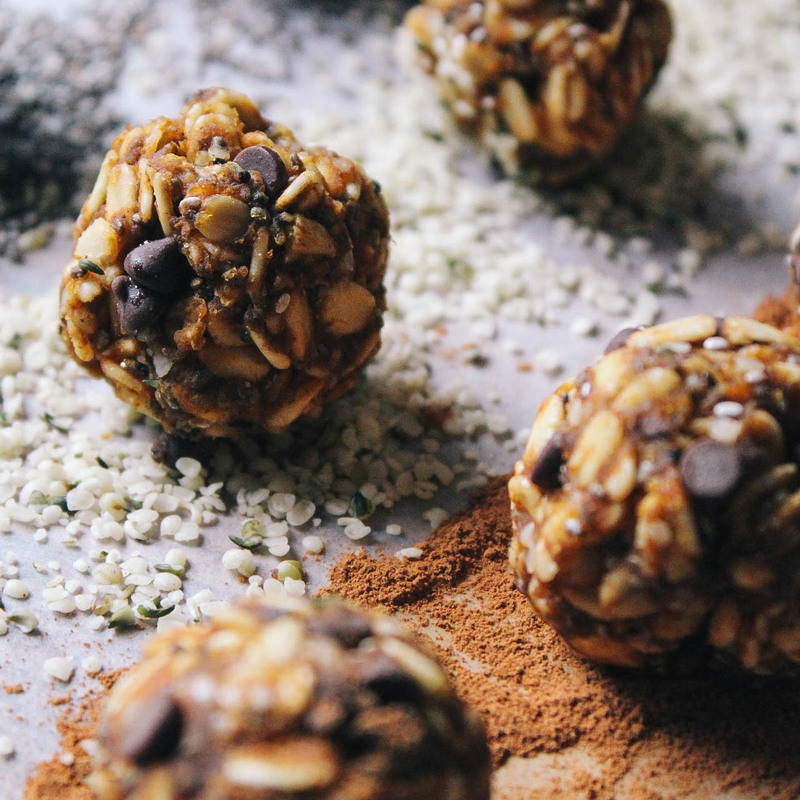 We portion that out at one tablespoon per serving which means this recipe provides about 12 servings. Enjoy it a spread on everything from veggie burgers, to sandwiches and wraps to tacos! That’s right; we said tacos! We have a new recipe for some potato tacos that will knock your socks off. We’ll be posting it within the next couple of days, so stay tuned! Not to brag, but we think this sauce is even better tasting than that famously delicious Chick-fil-A sauce! 1 1/2 tbsp of pure maple syrup, date paste or molasses - We used pure maple syrup and loved the results! Add all of the ingredients to a mixing bowl, stirring to combine. Taste and adjust the seasonings to your liking. If you don't happen to follow a plant-based vegan lifestyle you could opt to use regular mayo in this easy dressing, dip, or sauce recipe. 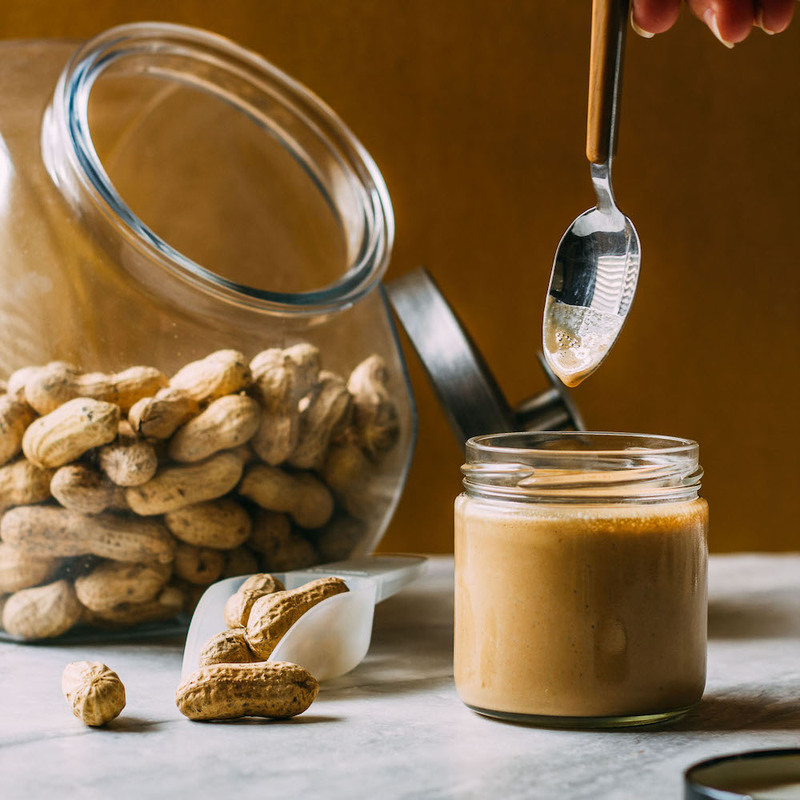 But we urge you to try making a batch of our Oil-Free Cashew Mayo to turn yourself on to the fabulous flavor to be found in plant-based food! We like to use these handy and budget-friendly pint-size wide-mouth mason jars when storing our sauces and dressings in the fridge. Looking forward to trying your recipes! Thank you, Faye, it’s nice to have you here with us! Thank you, Roseann. 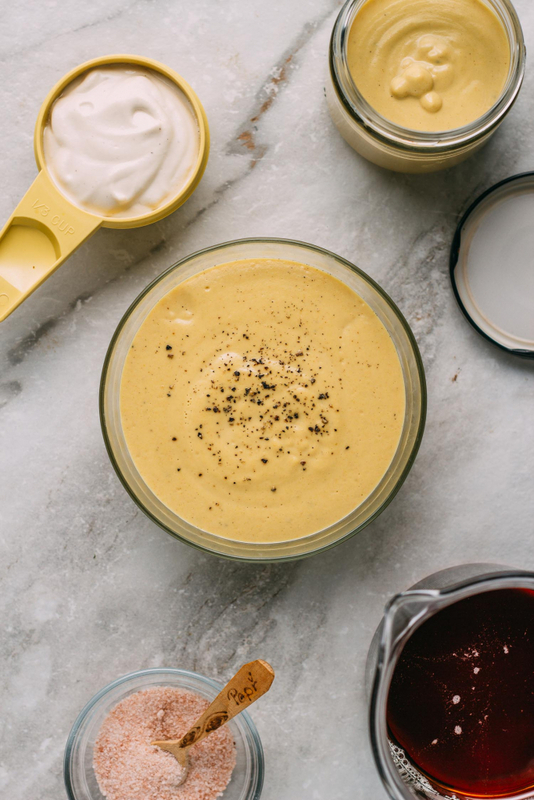 This sauce Maple Mustard Dressing, Dip or Sauce recipe is a keeper, for sure. We’d love to hear how much you like it when you give it a try.